Apparently, Dropzone Commander has been out for several months, but I was just made aware of it this past week. The game is produced by Hawk Wargames. I don't really need a new miniatures game to play in a different scale than I am already gaming in, but there are some intriguing aspects to the game. The unit models are nice, but the buildings are a big draw for me. The game is scaled at 10mm which is very close to the 12mm scaling for my click base Battletech figures and these building would look fantastic on my table. They may even work well for 15mm. There is a downside though, the buildings are extremely expensive and you have to assemble them yourself. The quality looks to be very high, but they will probably be out of reach for most gamers. 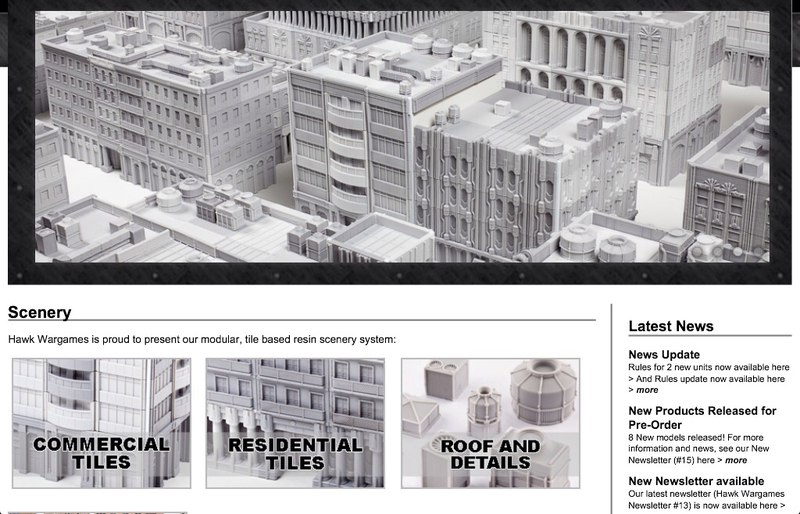 On the other hand, Hawk Wargames has made image panels of the buildings available for free download from their website and they look very nice for card buildings. Look in their downloads section.